Suicide bombing made its first appearance in Mauritania on August 8 when a man armed with an explosives belt blew himself up outside the walls of Nouakchott’s French embassy. The blast killed the bomber and wounded three, including a Mauritanian woman and two French guards. No claim of responsibility was made for the bombing, which came three days after a military coup leader was sworn in as president following a disputed election. Security forces suspect the attack was the work of al-Qaeda in the Islamic Maghreb (AQIM). Mauritanian security services fear the bombing was a diversion intended to divert military and security resources from preventing a larger terrorist operation planned for Mali or Algeria (El-Khabar [Algiers], August 11, 2009). A secondary goal may have been the fulfillment of threats made earlier by AQIM against France and French interests. Security services are reportedly looking for a Mauritanian explosives expert whose identity was revealed through the interrogation of arrested “Salafi-Jihadists.” The man, in his twenties, is believed to have been trained by Algerian terrorist and explosives expert Charef Ben Smar (a.k.a. Abu Khabab). Nevertheless, security officials do not see the presence of a major AQIM leader behind this relatively ineffective terrorist attack (El-Khabar [Algiers], August 11, 2009). Security officials suspect an AQIM unit led by Yahya Djouadi and Abu Anas Abd al-Rahman al-Shinqiti is active in the desert region of eastern Mauritania. 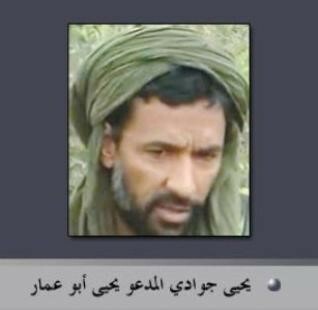 Djouadi is the Amir of AQIM’s Southern (Sahel) command and a U.S. and U.N. designated terrorist. Djouadi was previously based in northern Mali. Al-Shinqiti is a cleric and native of Mauritania (Bilad al-Shinqit = Land of the Shinqitis, i.e. Mauritania). The AQIM leader recently appeared in a video in which he promised new attacks on Mauritania and Western interests throughout North Africa. Al-Shinqiti found Mauritania’s efforts to establish democracy particularly disturbing, claiming it had “extirpated Islam from the state… Democracy will lead to Jewish-American occupation [of Mauritania] and to the proliferation of the parties of Satan” (El-Khabar, August 12, 2009). On August 13-14, the military chiefs of staff of Mauritania, Algeria, Mali and Niger met in Tamanrasset to discuss “joint confrontation of the crimes at the borders and in particular terrorism” (Al-Hayat, August 13, 2009). The military leaders negotiated protocols for “hot pursuit” of terrorist suspects across national borders and the establishment of a joint operations center. Algeria has frequently complained of Malian leniency in dealing with terrorists and the recent military cooperation effort was almost derailed when Mali released three al-Qaeda fighters in a prisoner exchange (El-Khabar, August 12, 2009). Paris and Washington have reversed their earlier opposition to the military coup carried out last year by General Muhammad Ould Abd al-Aziz, who deposed Mauritania’s first democratically elected president. The General’s subsequent election to president on July 23 in a contest denounced locally as a fraud has received warm approval from both France and the United States (Afrik.com, August 7, 2009; Al-Ahram Weekly, July 23-29, 2009; Reuters, August 5, 2009). In Nouakchott, French Minister for Cooperation Alain Joyandet announced, “With this election, Mauritania has become not only respectable again, but has also become once again for France a key partner in the region” (Reuters, August 5, 2009). On his return to Paris, Joyandet made clear the reason for the French turnabout: “France was delighted at the democratic election of the new president Aziz who made very strong declarations against terrorism… France is a historic partner of Mauritania and together we want to fight terrorism” (France 3 TV, August 9, 2009). This article first appeared in the August 20, 2009 issue of the Jamestown Foundation’s Terrorism Monitor. Five Pakistani shaykhs were murdered and two wounded in a vicious attack on a mosque in central Somalia (Shabelle Media Network, August 12). The Islamic preachers were members of the Tablighi Jamaat, a normally non-political Islamic missionary order that originated in India and Pakistan before spreading to East Africa. The victims were among 25 Tablighi shaykhs who arrived in Somalia on August 11. Most came from the Pakistani city of Karachi. The attack occurred in Galkayo, a city in the Mudug region of central Somalia. 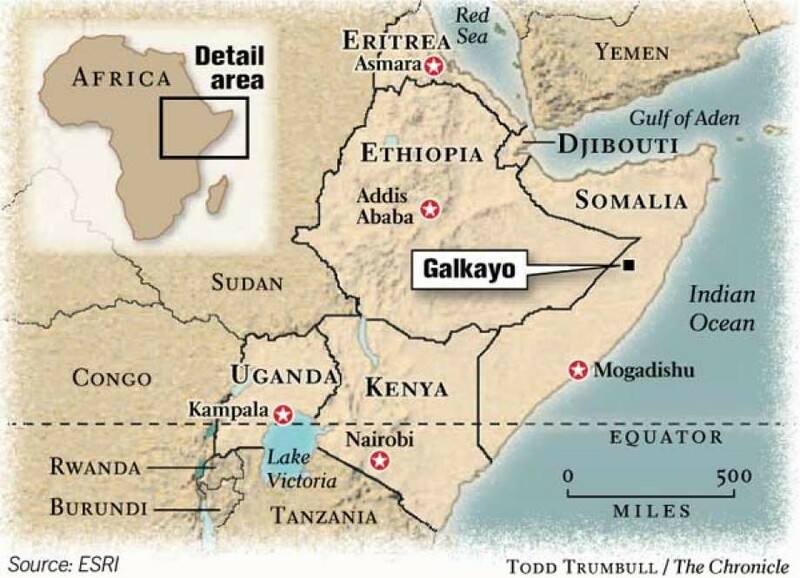 Galkayo lies on the southern edge of the semi-autonomous province of Puntland. The administration of Galkayo is disputed – the northern half is administered by the government of Puntland, while the southern half is controlled by the Sufi militia, Ahlu Sunnah wa’l-Jama’a (Xoghaye Media Center, July 8). South Galkayo is the capital of the semi-autonomous state of Galmudug, formed in 2006. According to witnesses, the Tablighi shaykhs were dragged by masked men from the Towfiq mosque and shot in the street shortly after dawn prayers. The Towfiq mosque, located along the dividing line between north and south Galkayo, is known as a gathering point for Tablighi Jamaat members, including those arriving from Pakistan (Shabelle Media Network, August 12). Puntland president Abdirahman Muhammad Farole blamed “the administration of South Galkayo” for ordering the killings, but Galmudug officials blamed Puntland (Reuters, August 13). There is speculation that the shaykhs may have been suspected by their killers of being al-Qaeda operatives. Somalia’s new security minister, Muhammad Abdullahi, was not entirely convinced the deceased were Tablighi missionaries. “Foreign fighters have been using this as cover and acting like preachers in Somalia. Nobody is sure if they were real preachers, but we condemn the killing of people in a mosque” (Reuters, August 14). Abdullahi warned Islamic preachers and other foreigners not to come to Somalia without government approval and guidance. Rumors circulating in Galkayo blame Ahlu Sunnah wa’l-Jama’a for the murders, though the movement has denied responsibility and says it is mounting its own investigation (Garowe Online, August 12). The growth of the socially conservative Tablighi Jamaat in Somalia has come largely at the expense of the local Sufi orders. A spokesman for Ahlu Sunnah wa’l-Jama’a, Shaykh Muhammad Abdi Sa’id, said the murders were “contrary to the teaching of Islam” (al-Jazeera, August 13). A spokesman for the al-Qaeda associated al-Shabaab movement, Shaykh Ali Mahmud Raage (a.k.a. Shaykh Ali Dheere), described the killings as “the worst thing in Somalia’s history,” adding that the “killing of religious men is unknown among the Somali community” (al-Jazeera, August 13). He blamed the attack on “anti-Islamic elements” and pledged the movement would seek “revenge” for the killings, though he declined to say what group al-Shabaab suspected of responsibility (Garowe Online, August 14; Soomaalidamaanta, August 12). In Islamabad, Somalia’s ambassador was summoned to the Foreign Office to account for the murders (Daily Times [Lahore], August 14). Somalia’s foreign minister called Pakistan’s Minister of State for Foreign Affairs to express the government’s condolences and discuss the repatriation of the surviving members of the Tablighi group (The News [Islamabad], August 14). At least one Pakistani daily viewed the event with alarm: “Islamabad should not be surprised if Somalia becomes the victim of a full-fledged Pakistani assault and thereafter becomes a base for terrorist operations against Pakistan” (Daily Times [Lahore], August 14). The Galkayo massacre was not the first to target the Tablighi Jamaat in Somalia. On April 19, 2008, Ethiopian troops burst into Mogadishu’s al-Hidaya mosque, where they slaughtered 11 Jamaat members as well as another ten civilians outside the mosque. Seven of those killed inside the mosque had their throats slit. The attack came only days after Ethiopian troops arrested 41 Quranic students attending the mosque. Nearly all were released after the Somali government failed to find any evidence of wrongdoing (Garowe Online, April 24, 2008; Somaliland Times, April 25, 2008; see also Terrorism Focus, April 30, 2008). In an official acknowledgement of a growing problem, the Indian government told both houses of parliament that a network involving Pakistani intelligence, Kashmiri terrorist groups and Indian organized crime boss Dawood Ibrahim was flooding India with counterfeit banknotes. The purpose is alleged to be twofold: to destabilize India’s economy and provide financing for anti-Indian terrorist groups. The problem of counterfeiting has become so pervasive in India it has even developed its own jargon: Fake Indian Currency Notes (FICN). Police seizures of counterfeit currency increased after last November’s terrorist attack in Mumbai. The states of Uttar Pradesh, Gujarat, Andhra Pradesh, Karnataka and Maharashtra appear to have been the most affected (Associated Press of Pakistan, August 4). The problem with the counterfeit cash is that it is almost indistinguishable from legitimate Indian currency. There have been several cases of trained agents unable to separate real from fake banknotes after major seizures of counterfeit currency. It is not surprising, therefore, that the fake currency is being redistributed by banks via ATMs (India Daily, July 30). It appears that low-denomination fakes are actually more common than higher-denomination fakes, so that merchants and banks spend their time examining high denomination notes while the others receive far less scrutiny as they pass into circulation. 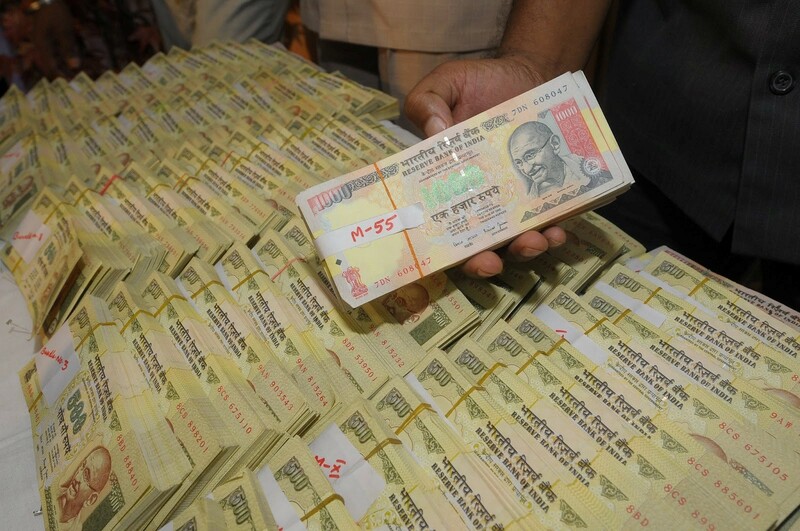 Measures to reduce the circulation of fake banknotes include increased vigilance by customs officials and the Border Security Force, increasing the security features on the most commonly forged notes, switching to polymer banknotes (as in Australia) and snap inspections of ATMs by security teams from the Reserve Bank of India (RBI). Security features on Indian banknotes were last improved in 2005. A high-level committee has been formed to create a strategy to deal with the problem. In the meantime the investigation has been turned over to the newly formed National Investigation Agency (Economic Times, August 5). The government has also promised to bring up the problem with international institutions such as Interpol. Some observers have pointed out that counterfeiting U.S. dollars or Euros would be understandable, but manufacturing fake Indian rupees can only be done with a specific purpose in mind – the destabilization of the Indian economy (Daily News and Analysis India, August 11). There are only a handful of companies worldwide involved in the tightly-controlled manufacture and distribution of currency-quality papers and inks. Indian intelligence agencies claim their investigations show Pakistan’s Inter-Services Intelligence (ISI) prevailed upon the government in Islamabad to order printing paper and inks in excess of its needs from suppliers in the UK, Sweden and Switzerland (Times of India, August 4). According to an Indian government official, “After using the country’s normal requirement for printing its own currency, Pakistan diverts the rest to its ISI with the intention of destabilizing the Indian economy by pumping in as many FICNs as possible into India and also to fund terrorist organizations. It has been involved in printing and circulation of the fake currency notes with the help of the organized crime network of Dawood Ibrahim and others” (Times of India, August 4). Police say interrogations in an earlier case revealed the existence of a clandestine printing plant run by the ISI in Quetta, Pakistan (Times of India, August 1). The intelligence agencies say the counterfeit currency is transported by Pakistan International Airlines (PIA) to Nepal, Bangladesh, Thailand, Sri Lanka and the UAE to be smuggled into India. Printing inks have also gone missing in transit within India (Daily News and Analysis India, August 11). The distribution network inside India appears to be highly sophisticated—so far it has resisted all attempts to trace the network back from the many street-level distributors who have been apprehended. According to a police investigator in Maharashtra: “The carriers are briefed on a need-to-know basis and are not aware of the entire network” (India Daily, July 30). After decades of discouraging the practice of Sufi Islam, Algerian authorities are now turning to Sufism as an ideological weapon in their struggle against Salafi-style Islamist militancy. Roughly 1.5 million of Algeria’s 34 million citizens are active adherents of Sufism. This turnaround in the official approach to Islam in Algeria was highly visible in a week-long Alawi Sufi festival held in Mostaganem in July (Mostaganem is 250 km west of Algiers, well distant from the strongholds of the Salafist militants in eastern Algeria). Organizers said the event was dedicated to “encouraging people to return to traditional Islam, the Islam of tolerance and open-mindedness” (Al-Sharq al-Awsat, July 28). One speaker noted that there are more than 170 verses in the Quran that describe the strategic value of tolerance and reconciliation for Muslims. Some 5,000 Alawi adherents from Europe, North Africa, the Americas, Asia and the Middle East assembled at the gathering, which enjoyed the personal sponsorship of President Abdelaziz Bouteflika. 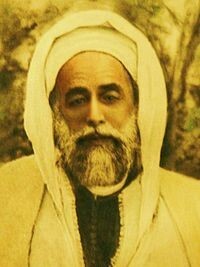 Shaykh Ahmad al-Alawi (1869-1934), a native of Mostaganem, established his own order in 1914 as a branch of the Shadhiliyya tariqa (spiritual path). The Shaykh addressed the problem of reconciling modernity and Islam and was well known for his tolerant approach to Christianity. The Alawiyya order spread to France, the Levant and other parts of North Africa. The current leader of the Alawis is Shaykh Adlan Khalid Ben Tounis, a writer and lecturer on Islamic topics. The Alawis are one of a number of Sufi orders in Algeria, all of which suffered official disapproval after independence as the government advocated a type of reform Islam closer to Salafism. The radicalization of Algerian Islam in the 1980s led to physical attacks on Sufi shrines and their guardians. The official view of Sufism has undergone a radical change, however. The government has created a radio and television station to propagate Sufism in Algeria and Sufi leaders are also encouraged to play a greater role in social affairs. The once powerful Tijaniyya order was rehabilitated after the post-independence government tried to eliminate it for its “pro-colonial” position during French rule. The schism between Salafists and Sufis is longstanding and is based on Salafist objections to pilgrimage to the tombs of saints and requests for their intercession with God. Salafis call such practices “innovation,” “polytheism” and “worship of the dead.” Sufis and Salafists are engaged in active fighting in Somalia following a number of incidents in which the Salafist al-Shabaab movement destroyed important Sufi shrines and tombs. 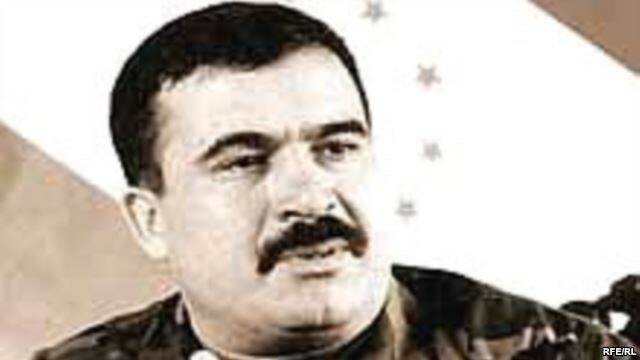 After documents were leaked in mid-July that suggested an alliance of Iraqi resistance leaders had been meeting with a delegation of U.S. diplomats and military officials in an unnamed “neighboring country,” it has since been confirmed that such talks between the Political Council of the Iraqi Resistance (PCIR) and the United States took place twice this year in Istanbul, with Turkey acting as a mediator (Hurriyet, July 24; Today’s Zaman, July 27; see also Eurasia Daily Monitor, July 27). 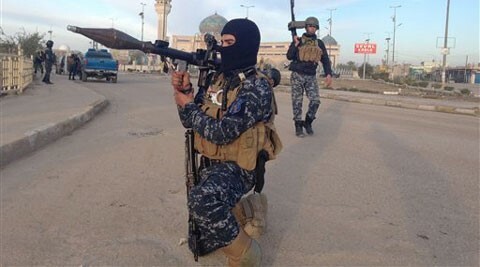 News of the meetings was quickly denounced by the Iraqi Prime Minister and Foreign Minister, who expressed astonishment that the United States was prepared to meet with “terrorists” without the knowledge of the Baghdad government (al-Jazeera, July 25). Both the United States and Turkey were accused of mounting an assault on Iraqi sovereignty and interfering with Iraq’s internal affairs (Hurriyet, July 24). The U.S. administration must issue an official apology to the Iraqi people for crimes committed in Iraq. Iraqis who suffered from the U.S. occupation must be compensated. All detainees and prisoners must be released. The United States must recognize Iraqis’ resistance to occupation as a legitimate right (Al-Arab [Doha], July 31). The meetings were held in March and May of this year. Al-Baghdadi declined to name the US diplomats and military personnel at the meetings “according to their request.” The spokesman says the PCIR’s stipulations were taken to Washington with the promise of a response by the end of June, but nothing has been heard from the Americans since then. While al-Baghdadi says the PCIR is “not concerned by their lack of response,” he believes “the issue is on hold but not over.” He also confirmed that the PCIR had insisted that no one from the Iraqi government attend the meetings. The March 6 document signed by the PCIR and the U.S. Government reportedly called for the PCIR to name 15 representatives as a negotiating team. Turkey would act as mediator and guarantor for the duration of the negotiations. Should any of the Iraqi representatives be arrested inside or outside of Iraq during the discussions, both Turkey and the United States pledged to do everything possible to obtain their release (Al-Sharq al-Awsat, July 26). Ali al-Jubouri, the secretary-general of the PCIR, has insisted that one of the two documents signed with the Americans include U.S. recognition of the Iraqi resistance, describing this as “a major achievement” for the resistance (al-Jazeera, July 15; July 25; IslamOnline July 24). Reaction to the talks from Baghdad’s Shiite politicians has been overwhelmingly negative. MP Hamid al-Malah, a leading member of the Supreme Islamic Iraqi Council (SIIC), demanded to know “whether this is an attempt by the Americans to bring back terrorism to Iraq” (Al-Sharq al-Awsat, July 26). Others fear that the PCIR acts as a front for unrepentant Ba’athists like former Vice President Ezzat Ibrahim al-Douri. Muhammad Bashar al-Faydi, spokesman for the Sunni Hayat al-Ulama al-Muslimin (Association of Muslim Scholars in Iraq – AMS), notes that the PCIR represents only four of over 100 resistance factions in Iraq. Thirteen of these groups have authorized the secretary-general of the AMS, Shaykh Harith al-Dari, to speak on their behalf on political issues and in potential negotiations (Al-Sharq al-Awsat, July 26, see also Terrorism Monitor, December 27, 2006). The al-Azhar educated shaykh is a vocal opponent of both al-Qaeda in Iraq and the Awakening councils. The PCIR spokesman says the alliance has “no objection” to authorizing Shaykh al-Dari to negotiate on their behalf (al-Arab, July 31). Is Pakistan Reversing Strategy of Isolating Baitullah Mahsud in Waziristan? As Pakistani F-16 fighters attack Taliban targets in South Waziristan, the government and military leadership appear to be reconsidering their earlier attempts to persuade other Taliban commanders in the region to remain on the sidelines during a much-delayed ground campaign against Baitullah Mahsud, leader of the Tehrik-e-Taliban Pakistan (TTP). 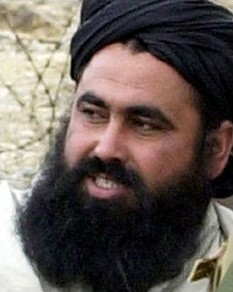 The government’s appeals were directed principally at Siraj Haqqani, leader of the deadly Haqqani Network and son of renowned Afghan mujahideen leader Jallaludin Haqanni, Deobandi warlord Hafiz Gul Bahadur of the Uthmanzai Wazir (see Terrorism Monitor, April 10), and Ahmadzai tribal leader Maulvi Nazir, whose complex loyalties are somewhat difficult to grasp, being simultaneously pro-Bin Laden, anti-Baitullah Mahsud and pro-Pakistan when suitable (see Terrorism Monitor, May 14, 2007). Pakistan’s press has reported a series of meetings between government officials and TTP leaders designed to isolate Baitullah, as well as warnings issued to Taliban factions not to interfere with military convoys on their way to Waziristan once the planned offensive begins. Bahadur and Nazir overcame their differences with Baitulllah in February, when they joined Baitullah in the Shura Ittihad-ul-Mujahideen (Council for United Holy Warriors) at the urging of Afghanistan’s Mullah Omar (The News [Islamabad], February 23). Little has been heard of this alliance since, suggesting this was only a temporary display of unity. Maulvi Nazir is a bitter rival of Baitullah. 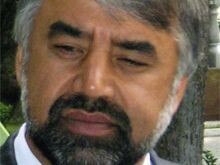 His participation in the new alliance was likely only a sign of his loyalty to Mullah Omar and there are conflicting reports on whether he will support or oppose Baitullah once the campaign begins. A July 28 suicide attack by Bahadur’s faction against government security forces killed two members of the Frontier Corps and wounded five others, suggesting Bahadur has rejected the government’s advances (The News, July 29; Geo News, July 28). With Siraj Haqqani likely to side with Baitullah to protect his cross-border network, Islamabad appears to have realized the isolation of Baitullah within the Pakistani Taliban is unlikely. After having served as their sponsor for several years, Baitullah is likely to be joined in any conflict against government forces by the remnants of the Islamic Movement of Uzbekistan (IMU), which has been based in Waziristan since being expelled from Afghanistan in late 2001. Known a decade ago for their skills in mountain warfare, the present capability and strength of the Uzbeks is uncertain after years of attrition and isolation from Uzbekistan, but Baitullah’s fall will surely result in their destruction, giving the remaining Uzbeks a strong incentive to repel any government incursion. While there have been numerous unconfirmed reports of negotiations between the government and Baitullah, a senior Pakistani military official told an Islamabad daily that it was now too late for talks: “Both the civil and military authorities have concluded that Baitullah is an enemy of Pakistan and must be dealt with accordingly” (The News, August 3). While the major Taliban leaders appear to be lining up behind Baitullah, a number of lesser commanders appear prepared to seek retribution from Baitullah for various past offenses. A former ally of Baitullah, Turkistan Bhittani, has already started operations against Baitullah’s men in the Tank region after having declared his readiness to take on Baitullah’s men as soon as Islamabad gave the green light (ANI, July 13; AFP, July 11). Bhittani has joined with two other factions in the reformed Abdullah Mahsud group (named for the late Mahsudi Taliban leader). Local press reported the new Amir of the alliance, Waziristan Baba (a.k.a. Ikhlas Khan) had sworn revenge on Baitullah for killing people in South Waziristan and destroying schools and hospitals (The Nation [Islamabad], July 23). A later statement from existing Abdullah Mahsud commander Qari Misbahuddin Mahsud denied the appointment of Waziristan Baba, claiming he had been sent by Baitullah to create rifts amongst the Abdullah Mahsud Taliban. According to Qari Misbahuddin, Waziristan Baba had already been expelled after less than two months in the Abdullah Mahsud group. A decision had been made to kill him, but he escaped before it could be implemented (The News, July 24). The Pakistani military is still in the process of consolidating its control of Swat, Buner and Dir. Militants driven out of these areas are reported to be regrouping in Shangla District. For the moment, Baitullah’s ability to operate beyond South Waziristan appears to be restricted, giving the government time to pursue its aerial campaign (using American supplied targeting intelligence) against him while avoiding a wide-scale conflict against a combination of Taliban factions in Waziristan. Aerial operations, however, are incapable of establishing the government’s writ across the Tribal Agencies of northwest Pakistan. Pakistan’s F-16s cannot carry out night operations, leaving the battlefield to the Taliban at night. As American and international pressure builds for a ground assault on South Waziristan, Islamabad will use the bombing campaign to buy enough time to find alternatives, whether through the submission of Baitullah Mahsud, or the creation of a tribal alliance capable of ensuring victory in a land campaign. A senior Pakistani security official explained the government’s decision to act against all of South Waziristan’s Taliban warlords rather than attempt to isolate Baitullah. “We have delayed the operation only to broaden its horizon. The militants in the border regions have developed joint networks, therefore it is imperative to confront them on both sides of the border so that they do not slip from one area [to] another during the course of operations… It would be difficult to confront Baitullah Mahsud and leave the other ones alone. The operation would have to be an all-out war against all of them” (Adnkronos International, July 31).